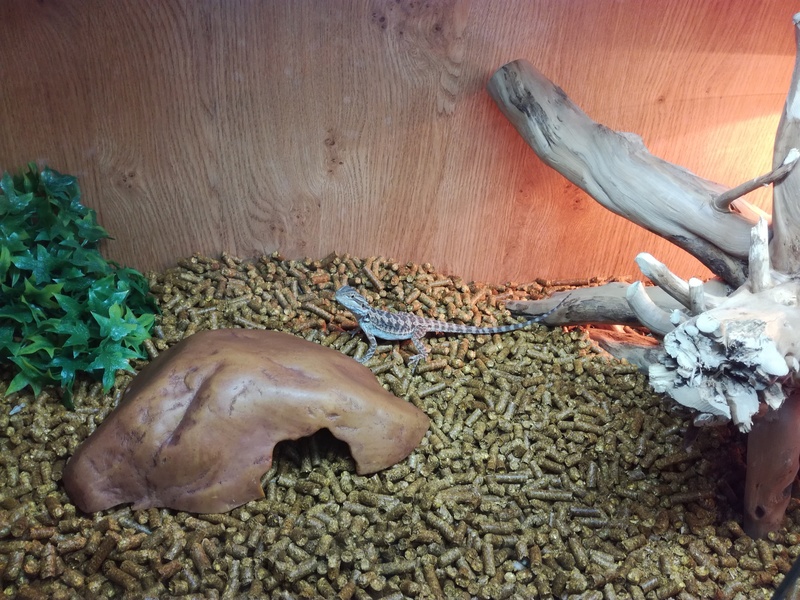 Baby bearded dragon and set up. It's about five months old. They don't develop until eight months so I'm unsure if it's male or female. It's been feeding on crickets with the powdered vitamins and calcium. I put fresh lettuce in every two days but the crickets eat it more than the beardie does. Pooing well and starting to shed. 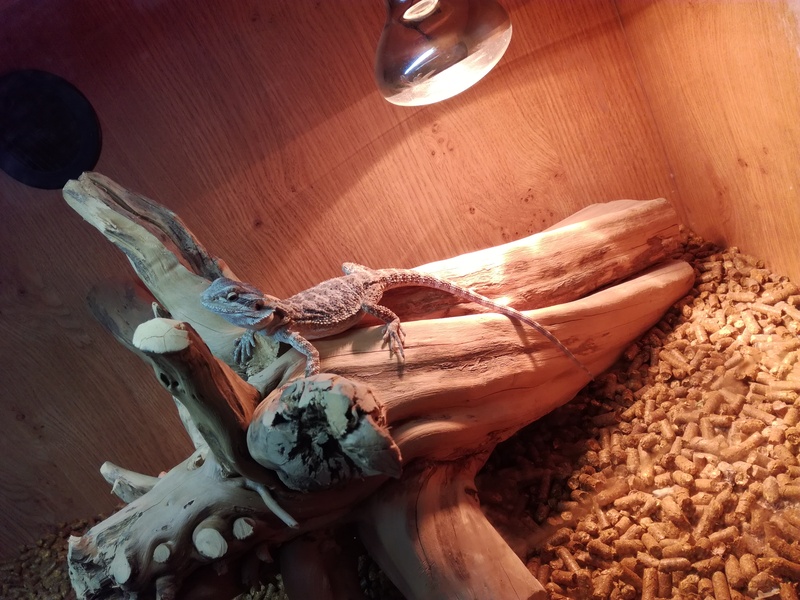 The set up includes a wooden vivarium with sliding glass doors big enough for one adult sized beardie (will provide dimensions upon request). A heat bulb. An upgraded timed thermostat. An upgraded UV light which doesn't have to be changed for twelve months. Literally got this delivered and set up on Sunday 12th March so not even had it for two weeks. Would love for it to be with someone who can show it the attention and affection it deserves. I still have the calcium and vitamin supplements which I am also willing to give.